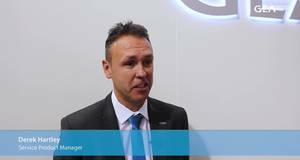 At ACHEMA 2018, we met up with Alexander Kraus, GEA Product Sales Manager for Chemicals and Minerals. He explained the advantages of the new GEA Separator TTI 150-01-572 designed for chemical products. The new GEA separator is explosion-protected and reduces both maintenance costs, as well as energy costs by clutch-less direct drive system.